The other day while at the commissary, I went a bit crazy. I had walked in with a challenge of "buy a vegetable you can't stand" - well these fellows were at the top of my list. I'm still not comprehending how they went from the produce bin into my basket onto the conveyor belt where I actually paid a cashier for these gross bits of green aka Brussel sprouts *shudders* Regardless, I now had Brussel sprouts to cook AND eat! I will admit they hung out a few days in my refrigerator before I mustered up enough courage to cook them! I turned to my trusty Allrecipes Allstars group for guidance. 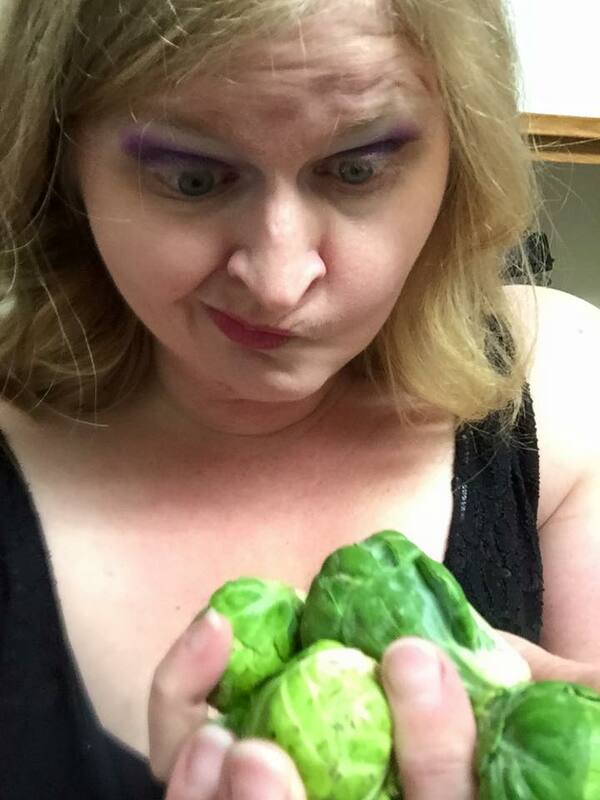 Much to my surprise I was met with a chorus of accolades for Brussel sprouts. 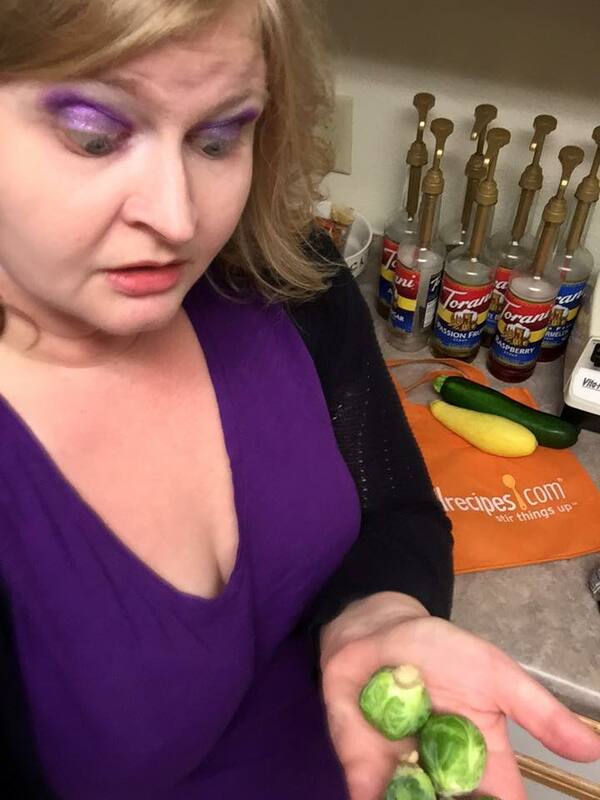 "This can't be right they taste like mini rotten cabbages and they're nasty!" I thought. grabbed 3 slices and diced up some bacon. Doesn't everything taste better with bacon? The moment had come! 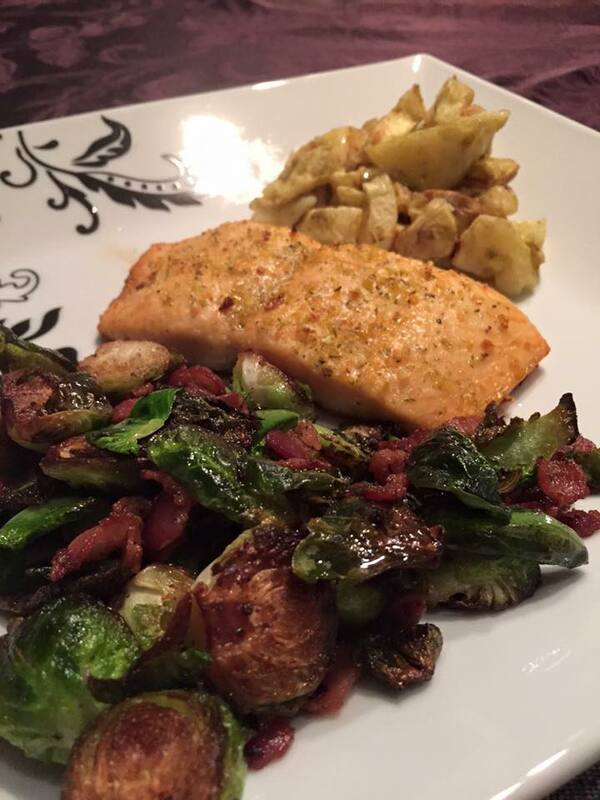 I finally retrieved the Brussel sprouts and proceeded to chop off the ends and then cut them in half. 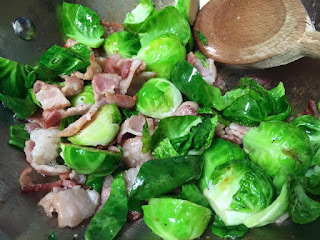 I did a quick saute of my chopped bacon and then added in the Brussel sprouts. Along with some black pepper and a little drizzle of grapeseed oil. Adding salt was NOT necessary (thank you Bacon!). So what was the verdict? Oh em gee... *clears throat* I seriously am in LOVE with Brussel sprouts, and they will become a repeat offender in my non-recipe recipe box. (Basically meaning I didn't use a recipe) because they were amazeballs of green goodness!